After years of making music as a sideman in various bands, Marcus Wong has finally decided to strike out on his own. What started as a personal challenge to occupy himself during a brief sabbatical has now become a full-fledged musical project of its own. Marcus' music draws heavily from the sounds of power pop and alternative rock. Marcus harbours no lofty aspirations of breaking new musical ground, but simply wants to share the music that moves him. Music that resonates deep in his heart. Music that is familiar and personal. You could call it more of the same. He calls it music that he can truly call his own. Music that he wants to share with you. Marcus has over 10 years’ experience in performing in a solo and band context, across a wide variety of musical genres. 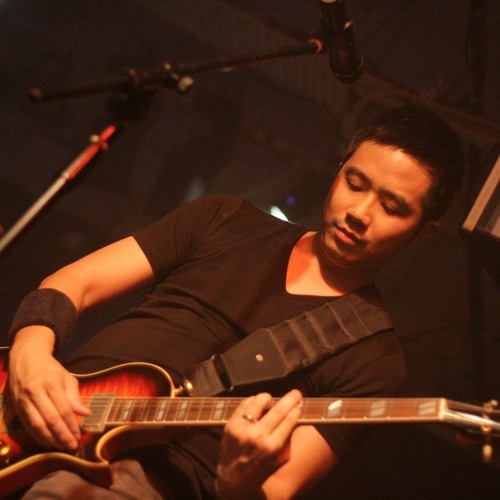 Marcus was a full-time member of various bands, including Vertical Rush, Pension State and the Sonic Edge Band, and also joined homegrown acts Surreal and Jonathan Chan as a session guitarist. He has had the opportunity of performing alongside artistes such as the Manic Street Preachers, Anberlin and Sonic Flood. He has performed at festivals such as Baybeats, Singfest and Sonic Festival. He has also performed around the region, in cities like Chiang Mai, Bangkok, Kuala Lumpur, Melbourne and Sydney. Marcus on the current batch of songs: "I've deliberately left the vocals off-key, levels unbalanced, guitar gaffes largely untouched. This is a musical sketchbook, my way of dabbling with the sounds that are running through my head at any given time. My whims and fancies dictate what I record and write. These works are intentionally left unfinished and unpolished. I believe that humans are social creatures - and art, as an expression of the human condition, is best expressed socially. The finishing touches to this music will be put in place when I take this music to my fellow musical collaborators in my band - currently called automobil - to work with and bring these songs to completion. And that is what I hope to achieve with my personal song demos." Marcus currently performs some of these songs with the band automobil - see www.reverbnation.com/automobil and www.facebook.com/automobilband for more information!